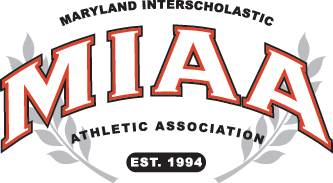 It was a battle of league unbeatens, when the Severn Admirals traveled to Roland Park to take on the Boys’ Latin Lakers in an MIAA B conference soccer contest, on Monday afternoon in ideal October weather. The game was scoreless for the first 39 minutes, when the Lakers’ Ben Smith gave his team a 1-0 lead on a corner kick from Sam Grace. The Admiral’s answered quickly when they came out to start the second half, and they tied the game at 1-1, at 37:09, on a what Laker coach Aaron Urban-Zukerberg described as a beautiful goal. Severn’s Jake Van Gieson got one by Laker keeper Nate Brown on a cross from Nathan Gauthier. Both teams had multiple chances to take the lead throughout the second half, playing as if the conference championship was on the line. The Lakers got what proved to be the winning goal with 9:04 to go in regulation when senior Harold Loyd blasted a shot past Admiral keeper Nick Subong, who had seven saves on the day. Loyd modestly described the goal. Laker coach Urban-Zuckerberg heaped praise on the Admirals. “When you play a talented team like Severn, you have to make adjustments as you go along,” said Urban-Zuckerberg. “We adjusted our game plan in the second half and I give them a lot of credit. The Lakers start five sophomores, and Urban-Zuckerberg, including Tankersly, Eddie Loyd, Hunter Hegman, Ben Smith and Riar Schell. Urban-Zuckerberg singled out the play of Hegmann. Laker senior Sam Grace, who also stars in football, basketball and baseball for Boys’ Latin, helped keep the defense together in the back throughout the game. Grace said it was a team effort, but he praised keeper Brown, and he also gave credit to Ben Heck and Louis Marchese who helped hold the Admirals to just one goal. “We knew it would be a tough matchup, and we knew everybody would have to play a big role to beat them,” added the four-sport standout. The Lakers’ Smith lauded the play of Severn’s Nathan Gauthier and Jack McCarthy. “They are a very good team and Nathan and Jack are incredible players,” said Smith. Boys’ Latin (8-1-1 overall) moved to 8-0 in the conference and the Admirals (8-3 overall) fell to 7-1 in the league. Both teams have nearly a full month of regular season action to go before closing their schedules against each other on Oct. 25th at Severn, before possibly matching up again in the post-season. Picture above: (from left) Sam Grace, who had an assist: and goal scorers Ben Smith and Harold Lloyd helped BL top No. 16 Severn. GOALS: SEV-Van Gieson; BL-Smith, Loyd. ASSISTS: SEV-Gauthier; BL-Grace, A. Tankersley. SAVES: SEV-Subong 7; BL-Brown 6.